And eternity, there is a tear. And everlasting, there is a rupture. The size of a single human soul. It is a glimpse of the long-awaited. Breaking time with eternal light. Beauty bleeding in the color of resurrected life. One of my favorite women of the New Testament is without a doubt Mary of Bethany. When I think of Mary, I can’t help but think of her in three snapshots. In each one, she is at the feet of her beloved Jesus: first, learning, then weeping, and finally worshipping. Yes, this is the woman who to her sister Martha’s dismay, sat at the feet of Rabbi Jesus instead of manning the kitchen (Luke 10:38-42). Yes, this is the one who sobbed at the feet of a Jesus, who seemed to have come too late when her beloved Lazarus lay reeking 4-days-dead behind the stone (John 11). And yes, this is the one who unabashedly worshipped at the feet of Jesus as she anointed him with precious perfume just 6 days before Passover and the unleashing of all events that would lead him to the cross(John 12:1-10). Mary of Bethany—learning, weeping, worshipping, Mary what can you teach us about the way a heart readies itself for the climax of salvation history? We find Mary’s story of anointing Jesus in John 12:1-10. A similar story appears in Matthew 26:6-10 and Mark 14:3-9 (although there is some disagreement as to whether these last two tellings represent an anointing by a different woman—since the woman in these accounts is unnamed—or whether this too is Mary of Bethany). At any rate, we know that a dinner is being thrown in Jesus’ honor, most likely as a way to thank him for having brought Lazarus back from the dead. If the woman in Matthew and Mark represent synoptic accounts, then we also know the party was hosted in the home of Simon, the Leper, a man whom in many regards had been brought back into the land of the living. Mary, Martha, Lazarus and Simon remembered what Christ had done for them and celebrated it. 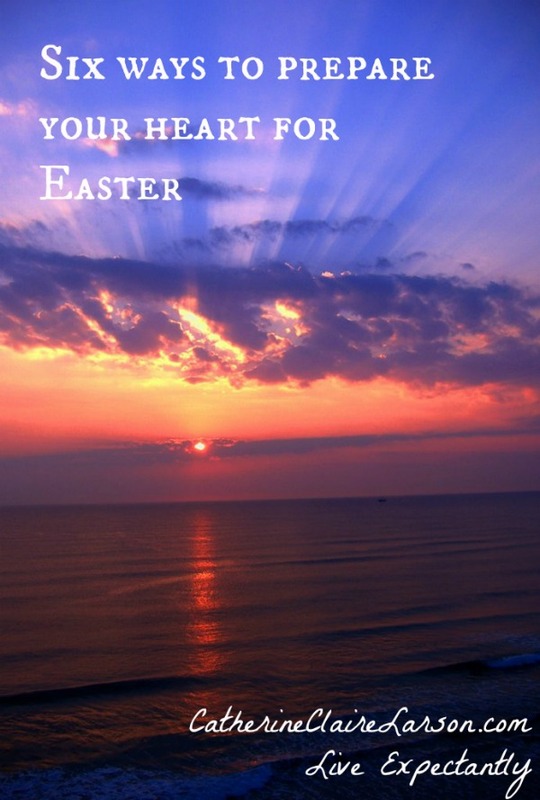 As you prepare your heart this Easter, think back on what God has done for you and thank him. Celebrate the new life you have seen Him bring forth. We know Mary had spent a considerable amount of time learning at Jesus’ feet. The fact that she brought a burial perfume is either God supernaturally moving her to bring this particular gift without her understanding or a testimony that she had been listening to Jesus, and that she understood at least in part what was about to occur. I tend to think that by God’s grace, Mary had put the pieces together and brought this costly burial perfume because she had been meditating on and taking to heart what God had taught her. As you prepare your heart this Easter, what has God been teaching you this year? 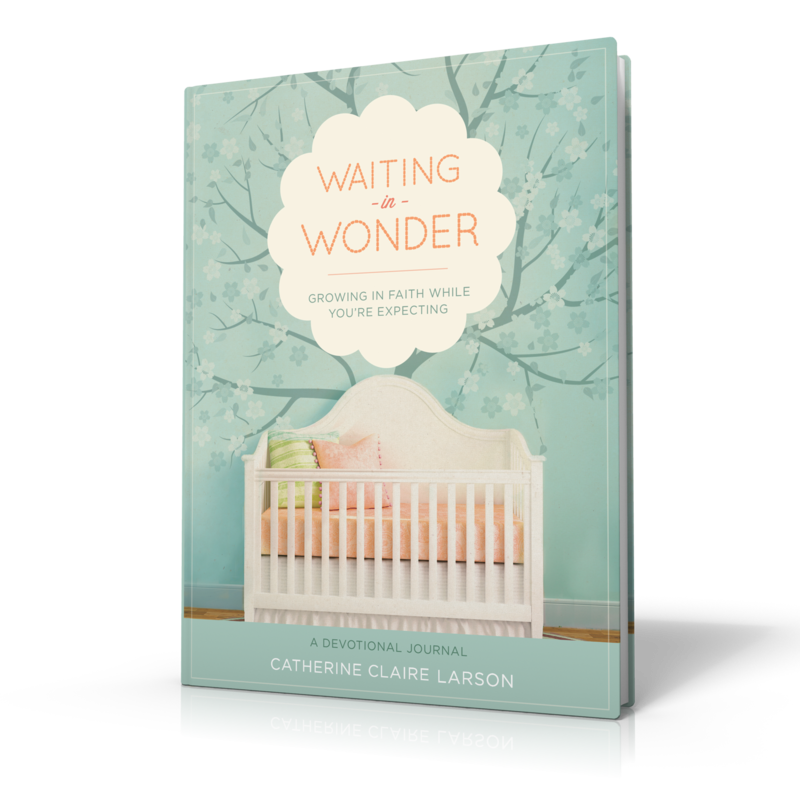 Ask Him if there is something He wants you to apply or a step of faith He wants you to take. If Mary did understand that Jesus was about to face his death, it might have been tempting for her to skip to the happy ending. 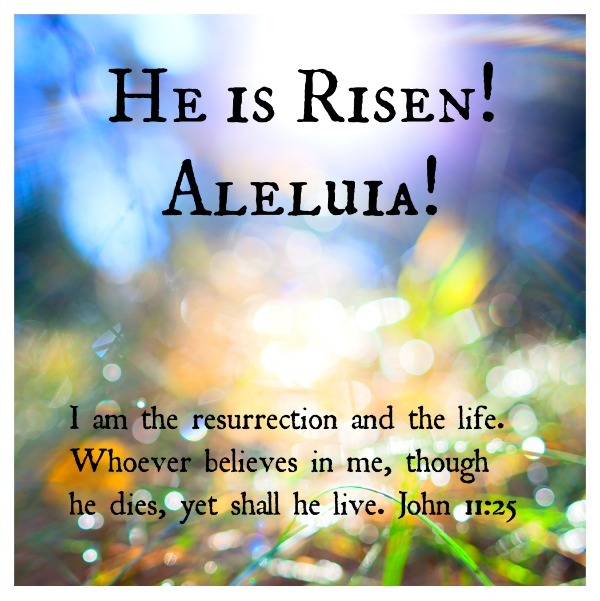 After all, she knew Jesus personally as “The Resurrection and the Life,” (John 11:25) and would have at least considered the fact that He might be able to conquer death when He Himself was in its grip. But perhaps, Mary understood more than most the importance of being with someone in the moment. Jesus, after all, had paused to weep with her when He knew that in just a few moments He would raise Lazarus to life. Likewise, Mary honored the suffering of our Lord Jesus and the solemn pain of what was to come by anointing him with this burial perfume. As you prepare for Easter, resist the temptation to skip blithely by Maundy Thursday and Good Friday. Take these days to meditate on the depth of Christ’s sacrifice for you, on His pain and your sin. Let His agony and your desperate state without Him sink in and linger with you awhile before turning your attention to His victory on Easter morning. Although the evening was most likely marked by a festive atmosphere—after all this was a time to honor Jesus and the new life he’d brought—Mary didn’t try to please others and keep the mood light. In fact, she ignored what everyone around her might think, and she broke open this costly perfume on the feet of Jesus. She even humbled herself to wipe his feet with her hair—when women of her day never even let their hair down in public. She refused to care about the opinion of others and instead cared about the one thing needful, worshipping Jesus. As you prepare for Easter, don’t let the fact that others take this day as one simply for chocolate and Easter Egg Hunts deter you from approaching Jesus and these special days with unashamed worship. Ignore the crowd and focus on the One who deserves all our worship. The perfume Mary anointed Jesus with was no trivial gesture. As Judas’ incredulously points out, this precious mixture would have been worth a year’s wages. Mary poured out one of her most precious possessions in an act of lavish love because she knew the lavish love of Christ was so much greater. As you prepare for Easter, ask God to show you if there is any area of your life that is off limits to Him. Think about what is most precious to you and ask yourself if you are willing to lay it at the feet of Jesus as a testimony to Christ’s own lavish love for you. For me one of the most mind-numbing aspects of this story of Mary anointing Jesus is the fact that somehow, in God’s infinite wisdom and kindness, He allowed a humble woman like Mary to actually minister to Jesus in an hour of need and bless Him. That is hard for me to wrap my mind around. Jesus was blessed by Mary’s act of faith. And because of it, He promised that wherever the Gospel would be preached her story would be told. As you prepare for Easter, humbly ask God to allow your worship to be a pure and pleasing blessing to Him. Bless the Lord who has so mightily blessed you.